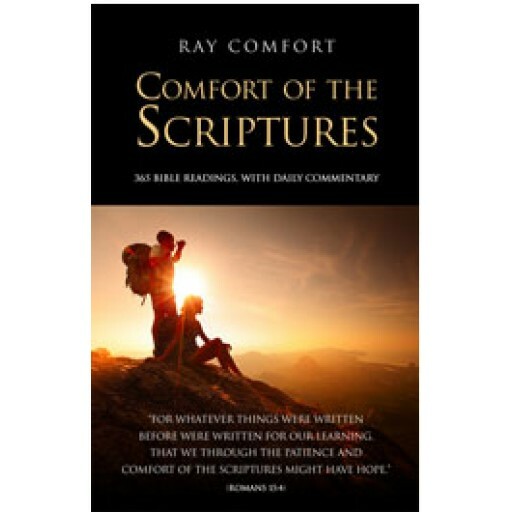 Read the Bible (in chronological order) in one year -- 365 Bible readings, with daily commentary by Ray Comfort, in less than 140 characters. 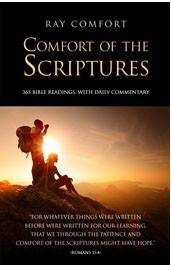 Do you read your Bible every day without fail? Do you love God with all your heart, mind, soul and strength—enough to give Him a few minutes each day to speak to you? To help you discipline yourself to daily feed on the Word, we've carved out 365 daily readings of the entire Bible—in chronological order—with a very brief commentary (originally created as 140-character tweets). As your humble servants, we have laid out your daily meal, and we added a small after-dinner mint for you to chew over. Now you can climb this massive mountain of holy writ one step at a time, and after 365 steps of daily discipline you will be more than a conqueror of God’s Word.